I play a lot of games. I mean, a lot. So I figured I’d sit down, think about the games I’ve played in the last year and sort of give my opinions on them. Screenshots were taken by me, generally because I accidently hit the stupid share button on the PS4 or something, but hey, they came in handy today. 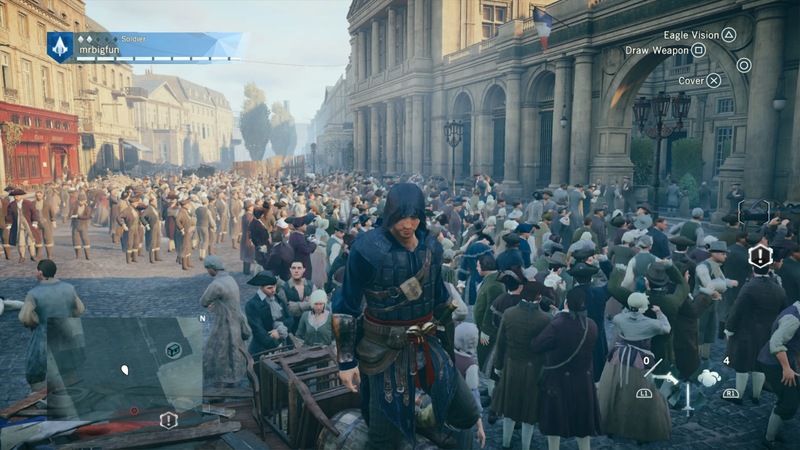 Well, it’s another Assassin’s Creed game. I didn’t enjoy this one as much as Black Flag (you got to be a pirate and sail ships around!) but it’s ok. Like every Assassin’s Creed game, you run around in an open world killing people (from behind, more often than not) and earning points until you can finally unlock the power where you can be a ninja and back stab two people at once. I didn’t find France in the 1800s a particularly interesting setting. Not since Dead Rising 3 have I seen this many characters on screen, crowds are truly something to behold. It can draw 1000 people but it can’t locate the stinking straw cart right in front of you. I’ll be honest, I sort of avoided this game because I figured it would be a simplistic preachy game that I’m simultaneously agreeing with and totally uninterested in playing. Happy to say that isn’t the case – it has fascinating mechanics that truly pull you into the world of being an immigration officer. It won’t take you more than an hour or two, but I highly recommend it. It’s exactly like you would expect if you’ve played Farcry 2 or 3. If you liked those (I did) you’ll like this. The Farcry recipe is you move around some vaguely asian country helping the natives and fighting the local militia while skinning pigs and finding treasure in an open world environment. It’s just good fun. This is a one level demo that cost me $30 and takes around 45 minutes to complete. Screw you, kojima. I’m possibly bitter because I bought this twice, my version had Snake speaking Japanese only, so I bought it again in English, not knowing I had like only 5 minutes left to play. Snake not being voiced by David Hayter just feels wrong. But heck, I’ll take Keifer over him speaking Japanese. 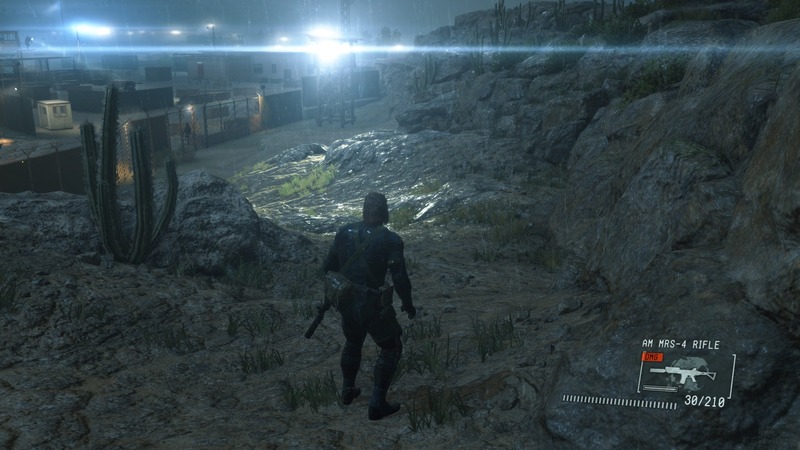 Looking forward to the next REAL Metal Gear though. (Phantom Pain) Behind Kojima’s ridiculous characters and embarrassingly bad writing there is generally an amazing game engine. It really is a modern Fallout 1&2 style experience. The writing is great, the fighting engine is solid. I quit playing Dragon Age Inquisition (highly polished and flavorless ) to play this (a bit rough around the edges but much more entertaining) and haven’t looked back. Man, I don’t think I’ve ever hated the character I play as much as this version of Garrett. He’s constantly whining about things being too dangerous, slaps his much cooler partner and then backstabs her. The only person I wanted to murder was Garrett, where is that button. As the for the actual game? Yawn, go play Dishonored or The Order 1886 instead. I mean, it’s ok I guess, but way too much figuring out which of the 1% of windows and doors actually are usable and will trigger the next predictable scripted scene. Did not finish. Well, if you’d like a stealth fps with a sort of alternate steampunk timeline of the 1900s in England, this is your game. Everybody has been freaking out about the render tech in this game – Ok, I guess.. sure, it’s a very convincing London, they’ve finally figured out how to make a foggy drizzly boring looking town realistic. Great, I guess. WE DID IT EVERYBODY, OUR REAL TIME RENDERING TECHNOLOGY NOW HAS NOSE HAIR. This game is perma-letterboxed, I assume to increase the FPS after using so many shaders to create the ultimate in realistic drab. If you ever want to make paintings of this game you can do it cheap because you only need to buy brown and gray. Despite my complaints about the lack of variety in the scenery it’s well written and I enjoyed it. Metacritic’s 65 rating seemed unfair.. until I finished the game, then I agreed with it. The game ends when you emotionally feel like you’re at the halfway point. Nothing is resolved. Where is the third act? DLC? You bastards. 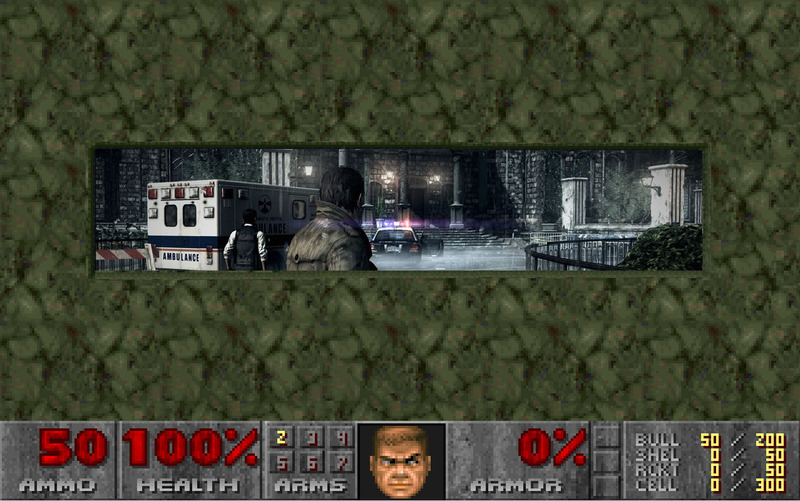 I think this is a pretty good Resident Evil flavored game hampered by a poor framerate and horrible field of view (FOV). And I’m talking about the post-patched version, not the “on disc” version that was reportedly much slower. As a programmer who’s had to do similar evils, I can tell you that both of these things are usually done to increase the frame rate in a desperate last minute attempt to make the game playable at all. With such a poor FOV you are constantly looking around to find switches and items right next to you despite a rather clumsy “an item is down there!” icon overlay. 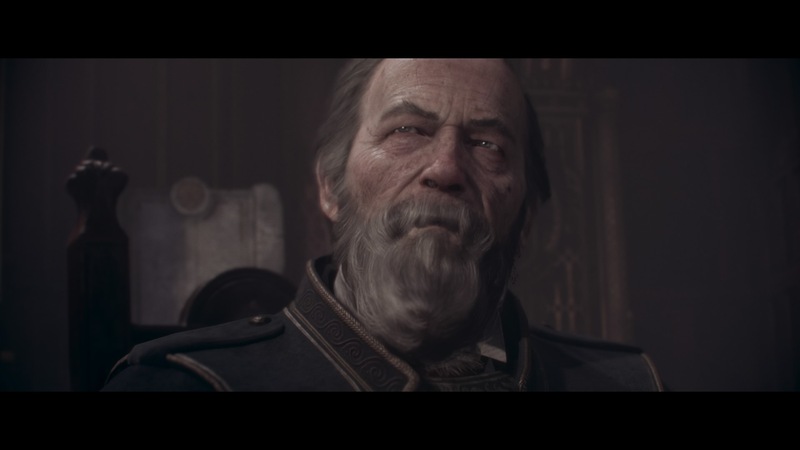 If the Order 1886 feels like half a game, this feels like double. I was sure I was on the last mission but it turned out I was only about half way through the game. Was a bit grueling but I finished it. I recommend this if you can get the PC version on a beefy computer – if you can play at a decent framerate without the letterbox I’ll bet it’s worth your time. It’s ok. You are sort of a super hero running around Seattle who can’t use vehicles. Gameplay does get a bit dull and samey after a while. I don’t hate it. 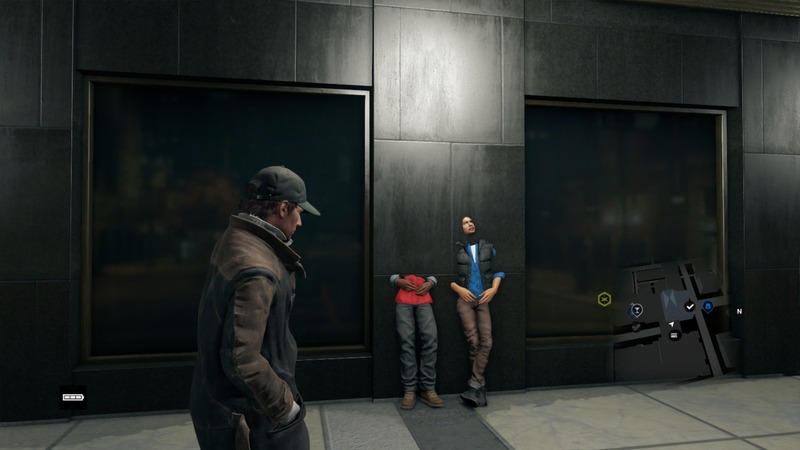 Second place for most unlikable main character in a game has to be Aiden Pearce. He’s constantly trying to be brooding and cool but comes across as just a creepy stalker. I actually had a lot of fun with this one despite the bland story. So there you go, proof I’ve been playing too much and programming too little. At least buying games is a write off. This entry was posted in Tech Tips on March 7, 2015 by Seth. Great reviews, now we just need you to make a sweet game for Xbox one/Windows 10 with crossbuy and crossplay. 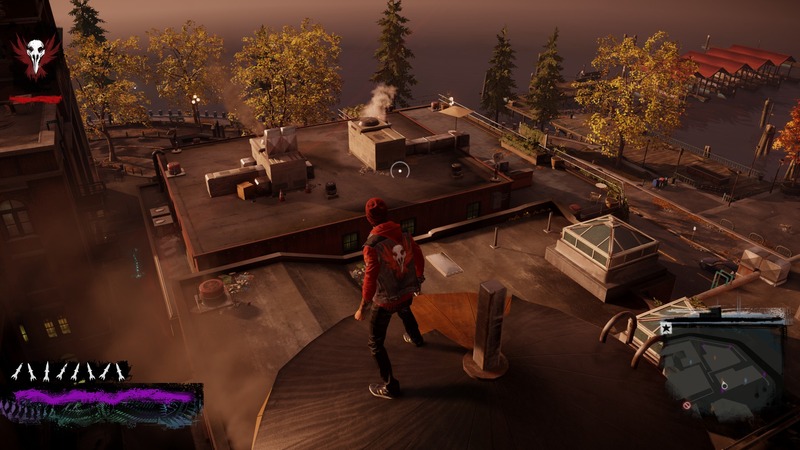 checkout Sunset overdrive for Xbox one, its fun and has your type of humor. Thumbs up on these, agree across the board! This is no crappy review its a great one! I will look here again! Excellent brief opines and I concur with most of ’em — right on.